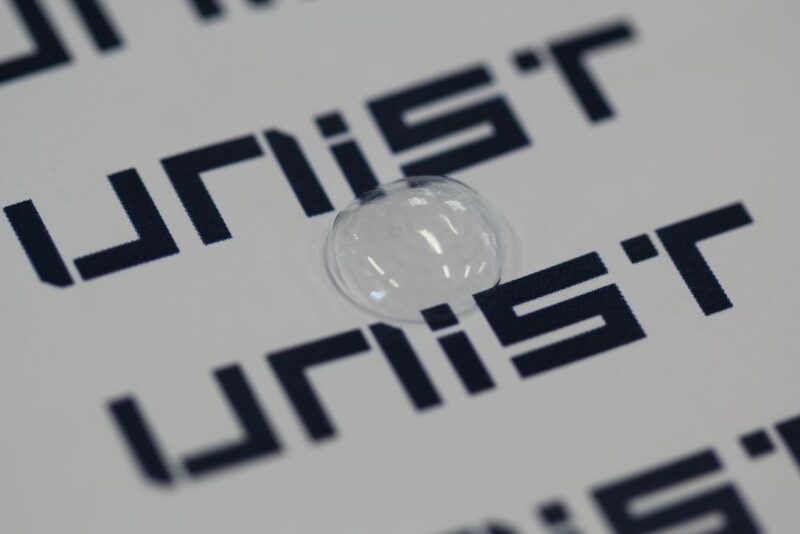 The newly-developed smart lenses with built-in pressure-sensing and glucose-monitoring sensors. The left-hand figure is newly-developed smart lenses with built-in pressure-sensing and glucose-monitoring sensors. Shown on right is an image of a rabbit, wearing the smart contact lens. “This study can be used to diagnose diseases (diabetes and glaucoma) by implementing two types of transparent electronic sensors in the production of smart contact lens sensors,” said Professor Park. “We are now a step closer to the implementation of a fictional idea for a smart contact lens in the films, like “Minority Report” and “Mission: Impossible”. The results of the study have been published in the March issue of the renowned scientific journal, Nature Communications. It was carried out with the support of the 2017 CooperVision Science and Technology (S&T) Awards Program. Joohee Kim, et al. “Wearable Smart Sensor Systems Integrated On Soft Contact Lenses For Wireless Ocular Diagnostics”, Nature Communications, (2017). Graphene investments, commercial agreements and rounds of finance. August-September 2018.